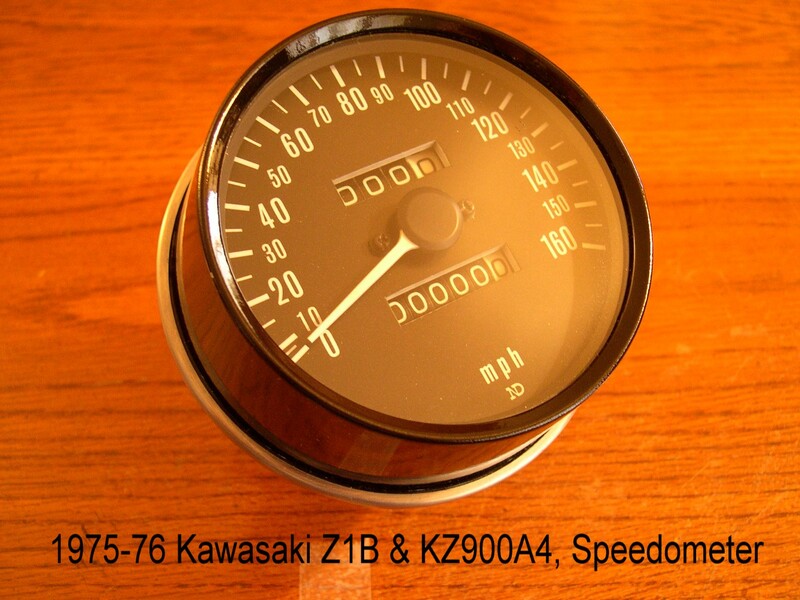 The 1973 Z1 speedometer is identified by the following features. The numbering on the face is in 20 mph increments. The second is the ND (for Nippon Denso) on the face is very low down on the face - right at the very bottom. Lastly the speedometer goes up to 160 mph. With a small number of the early speedometers (bikes built in 1972), the position of the 20mph numbers varies - we have only seen a couple of examples of this, so it is difficult to draw any firm conclusions about this variant. 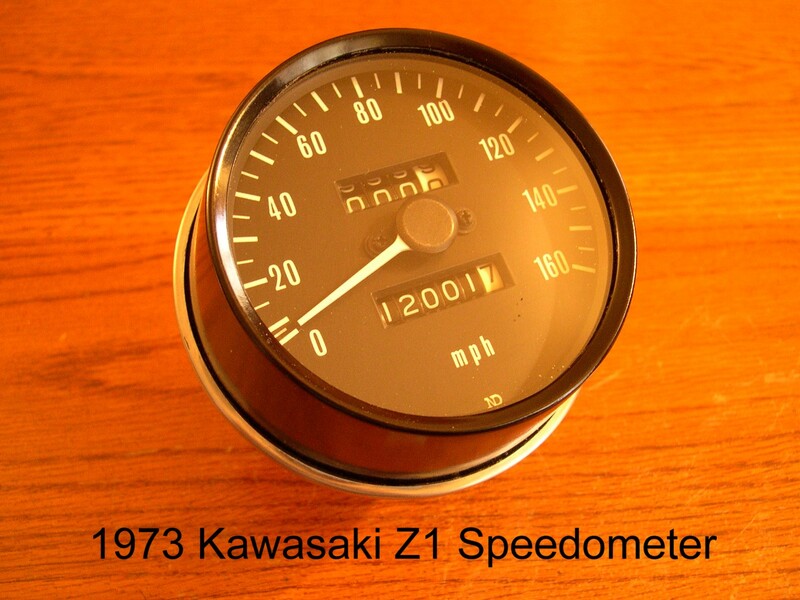 At first glance, the 1974 Z1-A speedometer looks very much like the 1973 Z1 version. It is another 160mph speedometer with 20mph increments. One noticeable difference is the ND on the face has moved slightly higher while the MPH has moved much lower on the face. 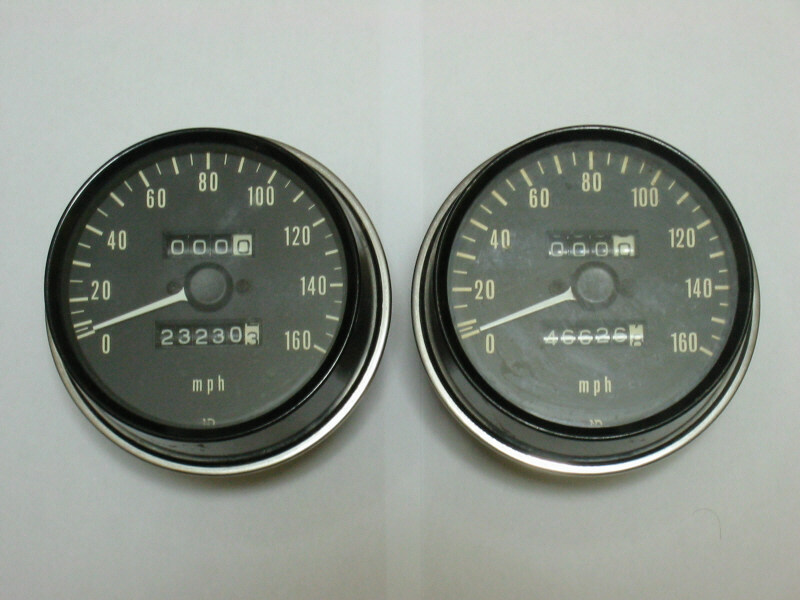 The 1974 version of the tachometer changed to incorporate a red brake light warning light. This light would come on when the brake was applied, and would flash in warning if the brake light bulb failed. 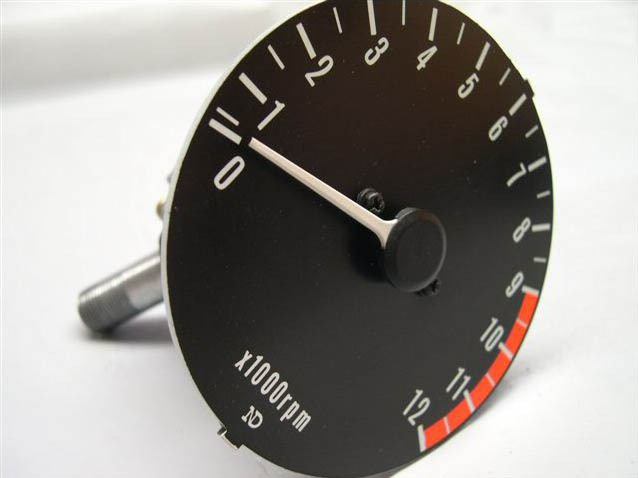 Similar to the corresponding 1974 Z1-A speedometer, the tachometer's x1000 rpm lettering moved down the face while the ND moved up slightly. 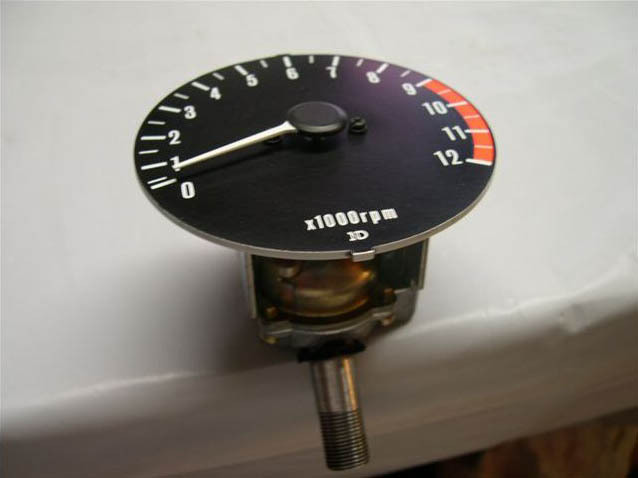 The redline remained at 9,000 rpm. While still remaining a 160mph speedometer, the markings now showed the speed in 10mph increments. The ND and MPH letters remained in relatively the same place as the Z1-A gauge. Same as the 1974 version. No changes. 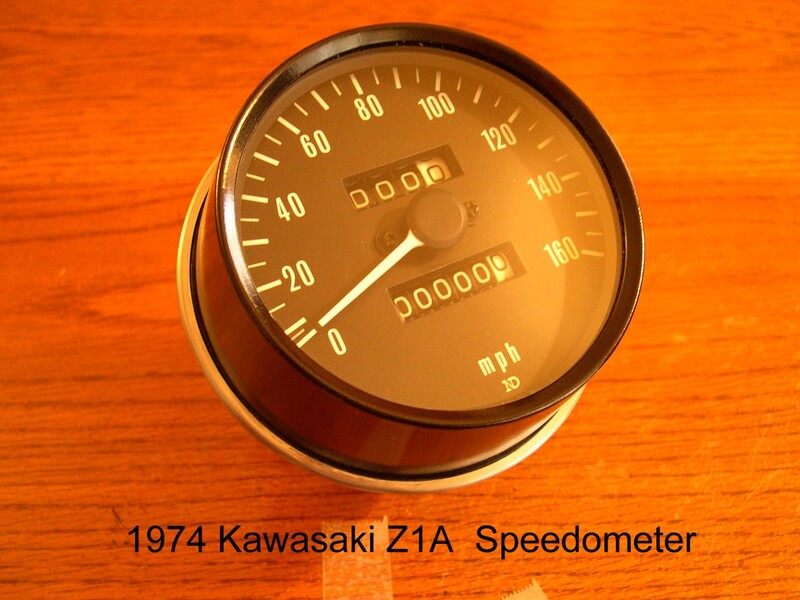 Same as the 1975 Z1-B speedometer. No changes. 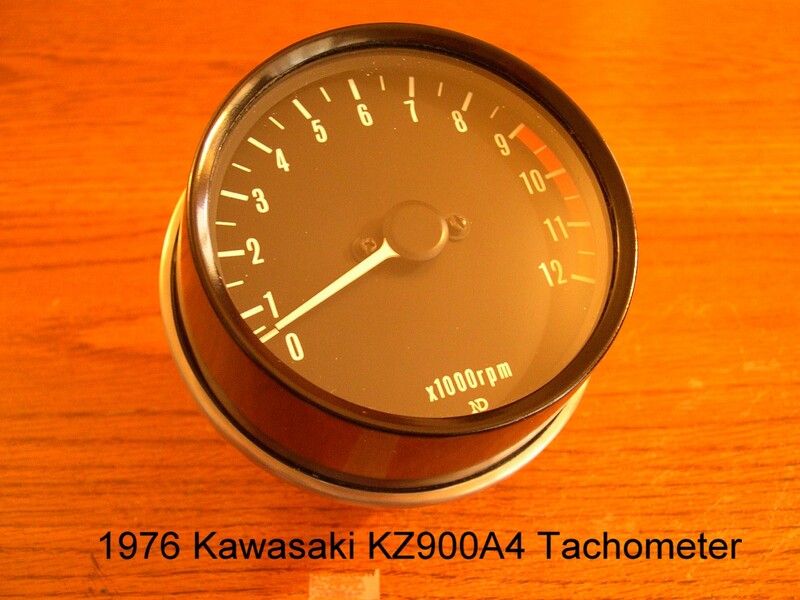 With the arrival of the KZ900-A4, Kawasaki dropped the brake light warning light in the tachometer. The redline remains at 9,000rpm. 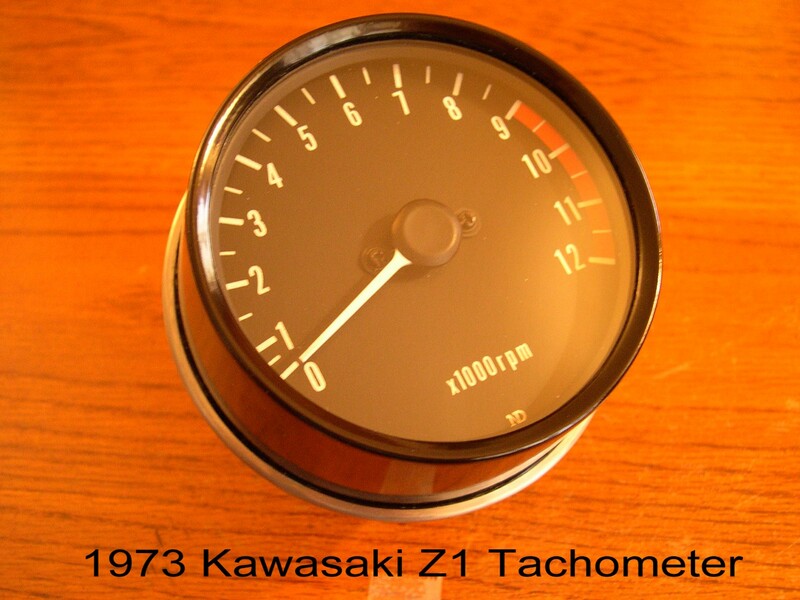 So for this year, the tachometer looks similar to the 1973 gauge except for the position of the ND and x1000rpm on the face. Note: Most of the images shown here contributed by Bob Harrington of Z-Resto. 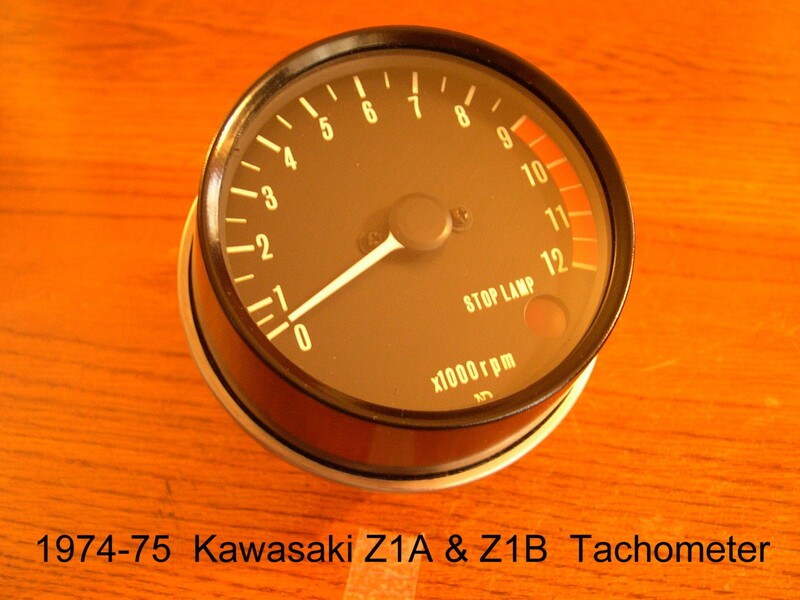 Z-Resto rebuilds and restores Z1 and KZ gauges. Click here for more about Z-Resto. Click here to email Z-Resto.